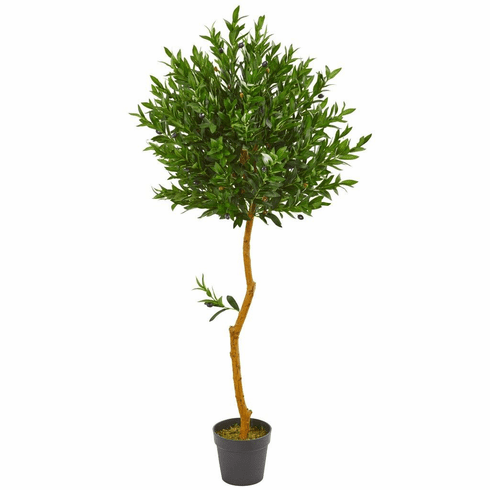 A single lush head of UV-resistant greenery sits atop a stem with this 58” olive topiary artificial tree. The elegant but simple design makes it a perfect fit for an office setting that features many neutral, white, or dark colors. Place it next to a window, bookshelf, or any corners in your office that lack décor to add a fun, green highlight to your day. Height: 58 In., Width: 13 In., Depth: 13 In., Color: , Pot Size: H: 6.5 In. W: 8 In. D: 8 In.